Planning permission has been submitted for this scheme’s 500-home first phase. The Winstanley and York Road Joint Venture partnership have a far-reaching vision for the area which builds on the aspirational master planning process carried out by the council. The masterplan provides more social and affordable housing and a new park which will be used by the whole community. There will also be major improvements to the built environment, new commercial and community facilities, jobs, education and training opportunities. Residents can look forward to living in modern, energy efficient homes in an area which is safe and welcoming. 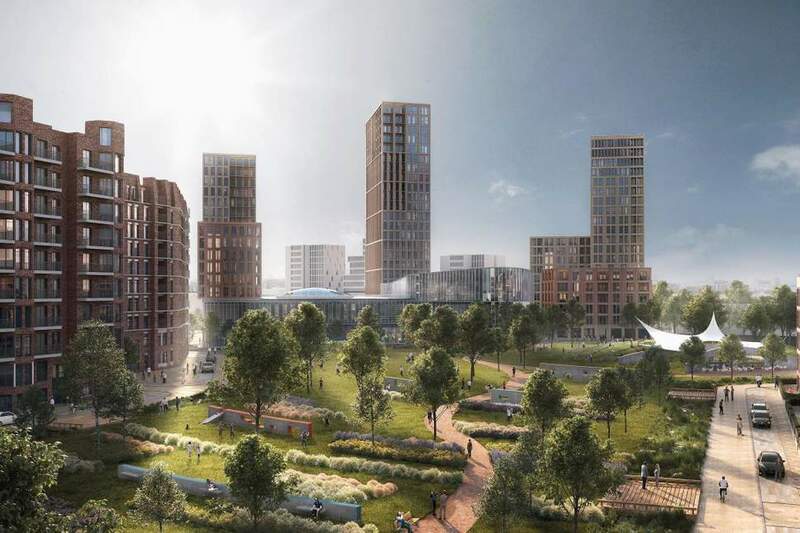 The regeneration will deliver an attractive new neighbourhood that provides better opportunities for all, where people are proud to work, live and visit. 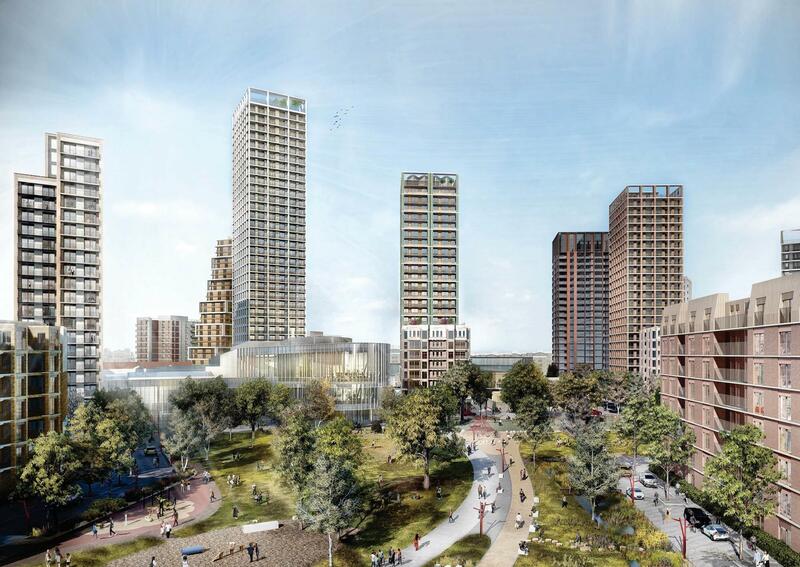 The 2,550-home estate redevelopment includes a 32-storey tower building. HTA are working with Henley Halebrown and LA Architects (leisure centre and a library). The client wants to improve the connections between the neighbourhood and wider communities, Clapham Junction station and the river Thames. This will improve conditions for pedestrians and cyclists ensuring a legible place with clear linkages between destinations and improve the estate’s connection with the rest of the borough and the wider city. 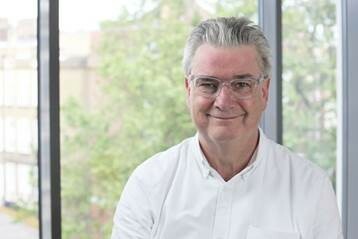 Ben Derbyshire has been elected the next President of the Royal Institute of British Architects (RIBA). He will take over the two-year presidential term from Jane Duncan on 1 September 2017; from 1 September 2016 he will officially become RIBA President-Elect. The position of RIBA President was established in 1835 and has been previously held by significant architects including Sir George Gilbert Scott, Sir Giles Gilbert Scott, Alfred Waterhouse and Sir Basil Spence. Unlike the public housing on the other side of London – at Roehampton – this Modernist architecture wasn’t formed from floating Corbusian slab blocks or elegant point blocks but long sinewy legs enclosing a massive and sterile piece of grass. £140 million transformation of 33 hectare Dee Park estate in Tilehurst, Reading, with nearly 800 new homes, in three phases over nine years. The joint venture partners are working with this architects practice, which is providing architectural, master planning and landscape design services, with Hunters and Partners architect for the school. These plans for Dee Park’s re-development build on the support and input of the local residents’ group CRAG, who will continue to play an important role during the project’s life. This British architecture practice was originally established in 1969 and has a strong history of delivering great projects. In April 2013 a new partnership was formed. The multi-disciplinary practice has offices in London, Manchester and Edinburgh. Comprised of specialist teams the practice employs 160 staff (mid-2016) working in architecture, landscape design, planning, urban design, sustainability and graphic design & communications. February 7, 2019 in Architects.